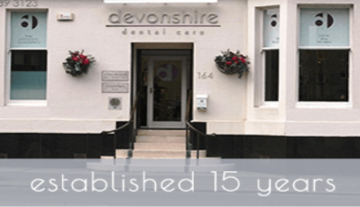 At Devonshire Dental our skilled practitioners are fully qualified and experienced in dental implant surgery. We are proud to be able to fit and finish your implants in the comfort of our practice. We are always very happy to take referrals from local practices. 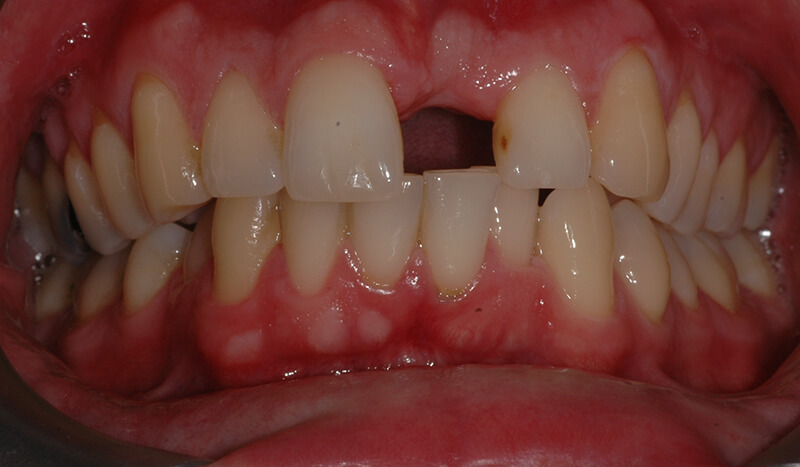 A missing tooth (or several missing teeth) can cause a number of issues- on a personal and practical level. Likewise an uncomfortable, loose fitting denture can also make life difficult in many ways. Speech, self-confidence, even your ability to eat the foods you love can be greatly affected. On top of this, it’s important to replace a missing tooth for oral health reasons. 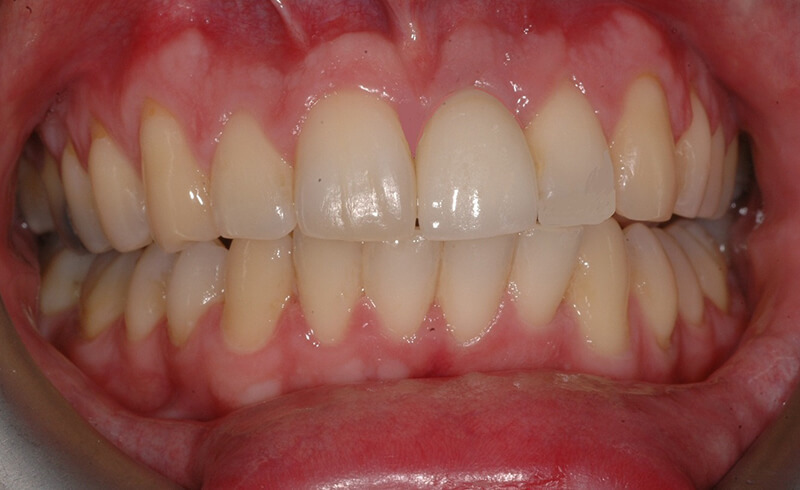 If you have one or more gaps your remaining teeth can start to move or twist causing them to become misaligned. Food and bacteria can get stuck in gaps causing potential gum disease and tooth decay. The effects don’t just take place inside your mouth- missing teeth can cause sagging in the facial skin- potentially making your look older. Dental implants are a very well established and safe solution to help you smile confidently again. Bear in mind that the process will require commitment from you. Numerous appointments will be required over several months. Significant recovery time is required and you will need to dedicate time and effort to looking after your remaining teeth and gums well to help your recovery after surgery. The process is lengthy and involved but ultimately very worth it. Depending on your circumstances, dental implants are a very practical and highly successful long-term solution to replacing one or more missing teeth. They offer a strong, secure and attractive way to replace several missing teeth for many people- helping them to feel confident and allowing them to eat the foods they enjoy once again. Once established, implants are well fixed and secure- unlike dentures which have a tendency to move- causing pain and discomfort. Dental implants help to protect the jawbone and maintain bone levels. Dental implants can help to improve speech plus the ability to eat and chew. Self-confidence and lifestyle can be significantly improved. Dental implants are a safe way of replacing one, several or even all of your teeth if required- plus they don’t affect your remaining teeth in any way. For those requiring replacement of all their teeth, an implant retained denture can be fitted. This allows for a more comfortable and securely fitted denture which can be easily removed by the patient for cleaning at home. Dental implants effectively replace the roots of your natural teeth and support a manufactured yet very natural looking crown or bridge. The implant screw is usually made from very strong titanium while the crown (visible part of the tooth) is finished in a natural looking ceramic or porcelain. Once it’s been implanted in your jaw, the natural bone fuses onto the surface of the implant helping to fix it securely in place. Around 3 months will be required before your final crown, bridge or denture can be fitted although a temporary restoration can be attached in the interim. Your dental implants will be placed under a local anaesthetic although a sedative can be used if required. Therefore you should feel no pain during the procedure. You may experience some discomfort or swelling in the days afterwards- this should improve with standard painkillers and a cold compress. If pain persists please call us for further advice. In a standard procedure where the insertion of implants is relatively straight forward it usually only takes around 1 hour. We will advise you fully before any surgery so that you are fully aware of what to expect. Dental implants are a highly suitable option for the majority of patients. It doesn’t matter how old you are, the condition of your existing teeth or how many teeth you need replaced. Every patient is different and your needs will be discussed with you fully before any work starts. Please feel free to ask any questions so that you fully understand what is involved and feel comfortable about what to expect. The most important factors to consider are that you have a good standard of general health. This will determine your potential for a good recovery. If you have diabetes or are a heavy smoker you are at a greater risk of developing gum disease or infections following surgery and therefore, dental implants may not be suitable for you. The health of your gums and the bone density in your jaw are both very important as this is ultimately what will hold your implants in place! Don’t despair if you’ve had previous issues with gum disease and now lack sufficient bone density. Options such as bone grafting and/or sinus lift can help to restore bone strength and increase the chances of success in the future. It’s important to keep up good oral hygiene in order to avoid infection and discomfort. Following surgery you will require some recovery time to allow the implants to fuse and the gum to heal. It’s important to keep the gums clean during this time. You should brush the gums gently every day to avoid a build-up of plaque. On the whole, dental implants are a highly successful treatment- with over 95% taking successfully. When well looked after and properly maintained they have the potential to last for many years. Treat them as you would your normal teeth. Be sure to brush twice a day and pay attention to your gums by flossing and using interdental devices. An example of an implant to replace the upper left front incisor. Work done by Allan Rennie.